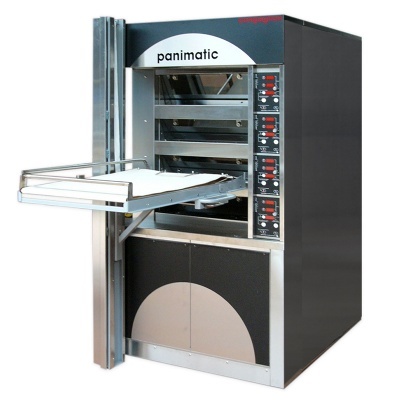 Panimatic bakery oven is a refractory deck oven designed for baking fresh dough of baguette and bread products. 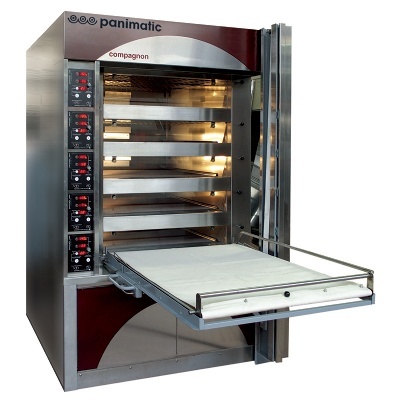 The Compagnon deck ovens come with 3 to 6 independent baking chambers, from 4 to 12 mouth inlets for 600x800, 750x800 and 900x800 tray dimensions. 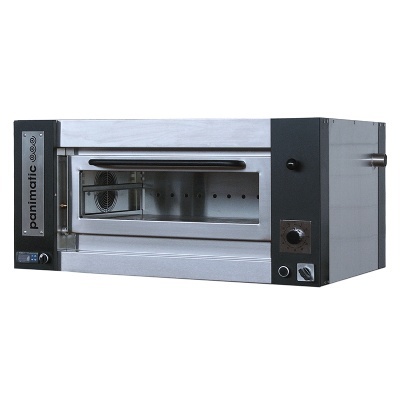 Different inlet opening heights are possible: 130mm or 190mm. 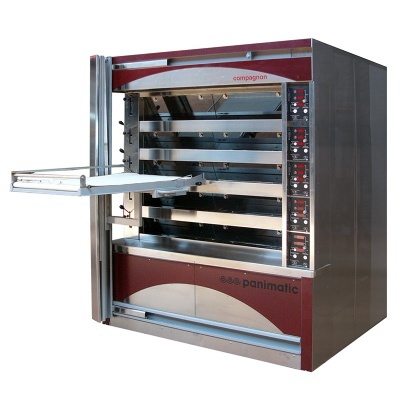 You can also opt for the deck oven’s accompanying loader. 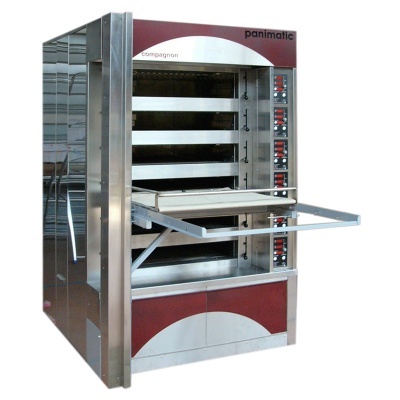 Each baking chamber is independently controlled by its electronic control panel (set up both bottom and top temperatures), steam generator and lighting.